Make a paste from the garlic and ginger using a microplane or food processor. 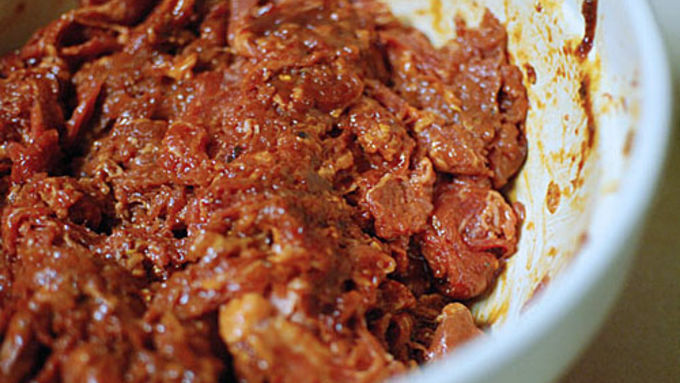 Mix the garlic, ginger, pepper flakes, brown sugar, gochujang, rice wine vinegar, soy sauce, and sesame oil to make the bulgogi marinade. Add the shaved beef and let it sit for an hour. 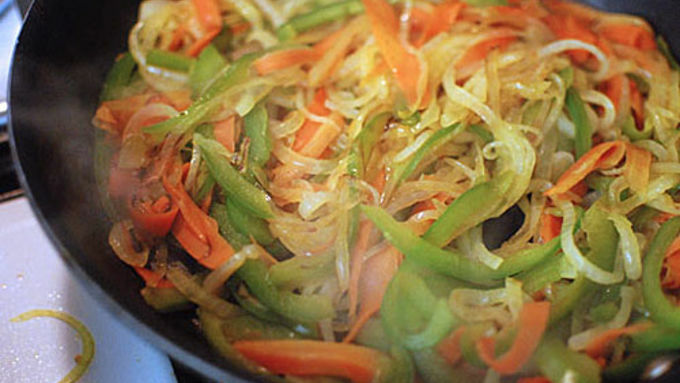 Thinly slice the pepper, onion, and carrot. 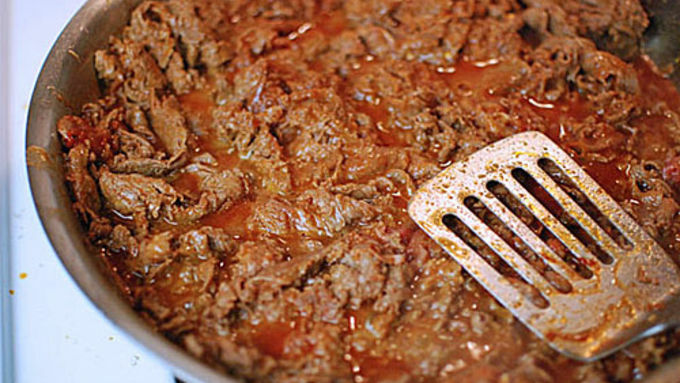 Add the beef with all the marinade to a hot pan and simmer until fully cooked. Brown the veggies in a separate pan with some butter or oil. Place the cheese in a layer on your bread. 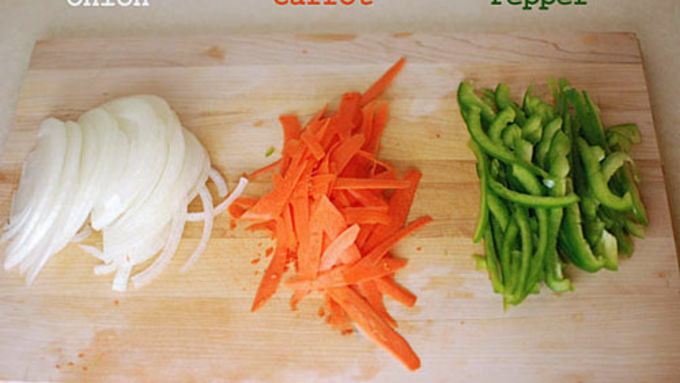 Add the meat and veggies to your desired ratio. Let it sit 2 minutes before eating so that the oil soaks into the bread and the cheese melts. With a few extra ingredients, turn a classic Philly cheesesteak into a fusion feast with Korean bulgogi. 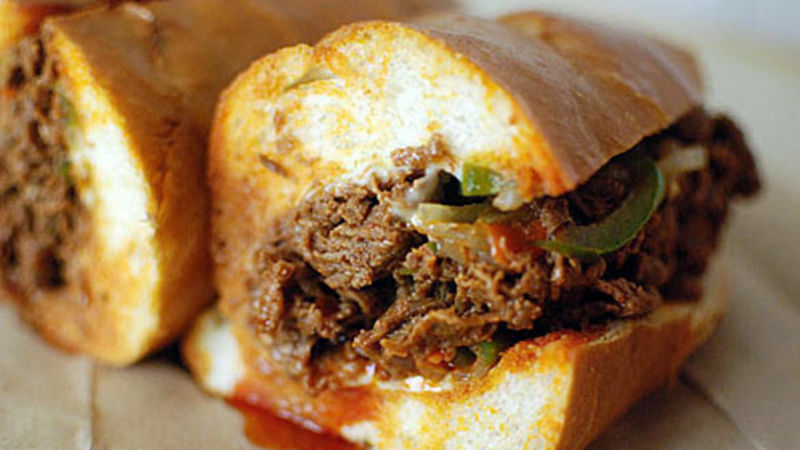 This amazing recipe was inspired by this list of Americas 10 Best New Sandwiches. I re-read this list about 7 times, sent it to more than 20 friends, and even visited the establishment on the list that was near my apartment in Boston! The thing on this list that really caught my eye is the bulgogi sandwich. 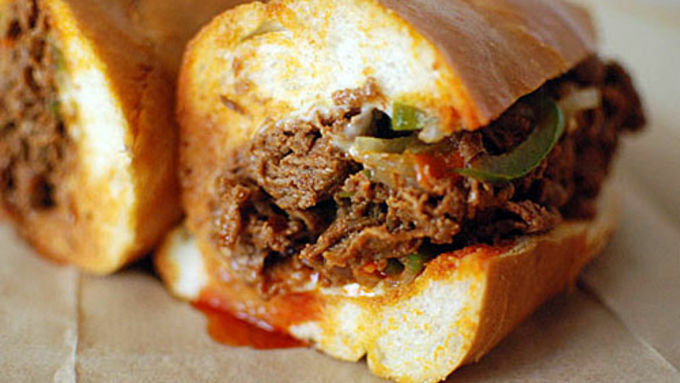 Appropriately created in Philadelphia, this sandwich combines the classic Philly Cheesesteak with bulgogi, the delicious Korean marinated beef. Not only did it catch my eye as the most delicious looking sandwich on the list, it also seemed to be the most accessible and easiest to make at home! This sandwich comes together pretty quickly, and is cheap and easy to make if you already have Asian ingredients in your pantry. The one curveball ingredient is a Korean pepper paste called Gochujang. You could skip it if you want to, but it’s a great secret ingredient to have in your fridge. It lasts a long time, and a tablespoon here and there can really add dimension to marinades and stir frys. You can find it at an Asian grocery store or online. Very tasty. Reminiscent of a cheesesteak, but with bold bright Korean flavors bursting out.